Perfecto para los amantes del esquí y el verano los huéspedes, así como estás en la calle de la góndola, a pocos minutos a pie de los lagos y el Camino del Valle. Lake Placid Lodge tiene la mejor piscina exterior y jacuzzi en Whistler. Nuestro condominio cuenta con nuevos pisos de madera dura de la marca y ha sido recientemente renovado. Hay un balcón de la sala de estar donde usted puede sentarse y mirar las montañas y la piscina. Esta unidad totalmente amueblado está equipado con todos los utensilios de cocina y ropa de cama. Hay un aparcamiento subterráneo gratuito. Las tiendas, restaurantes, bares, tiendas de comestibles, tienda de licores, alquiler de esquí, remontes, están justo al otro lado de la calle. Comfortable and conveniently located, this place was perfect for our family of four. Great amenities and host. We hope to stay again! Excellent property and a great location. We enjoyed our stay. 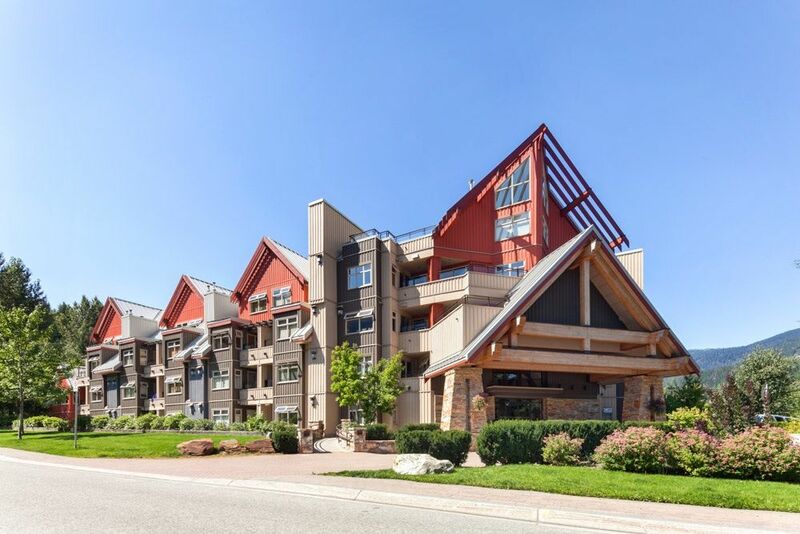 The condo has a great location for snowboarding/skiing and the owners were very welcoming and accommodating. Great place to stay! The location was great. It's quiet, calm and the line up for the Creekside Gondola is always shorter. We did go to the Village one night for dinner but it reminded us why we chose Creekside. The parking garage at Lake Placid is also fantastic. We never had trouble finding a spot and it was warm. Made for an easy load in and load out. Karmel was super attentive. So attentive that everything was taken care of before we even had to ask. We will stay at the Lake Placid again for sure. The Condo was beautiful and newly renovated. However, it lists air conditioning as an amenity and there is none. It was 90+ degrees F while we were there, basically too hot to sleep in the upstairs. We did find a fan in the closet on the second night, but still way too hot. Also too pricey for the location and size. I loved staying here in Creekside. This property is located steps from the mountain, the shopping and is just up the street from a beautiful lake. It has been tastefully renovated and is very comfortable and well equipped. I will be coming back. Hello Glenn. Thank you for the lovely review. I am so glad to know that you appreciated the proximity to the mountain and that you liked the renovation. Please come back again.